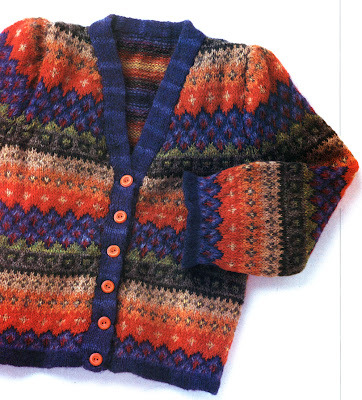 At the risk of sounding like a whiny old bat, I gotta say that I haven't seen any original or interesting children's knitting patterns for a long time. The stuff in the stores is boring, dull, hackneyed, and uninspired. I see an occasional cutie on-line, but, in general, there seems to be something missing from the designers' imagination. Meh. 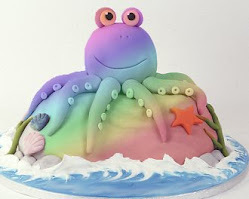 But of course, I wouldn't be writing this post without something delicious for you to peruse and one of them is actually in English and easily available! 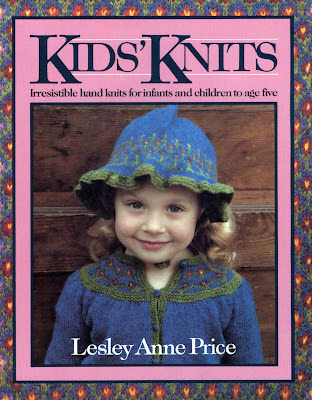 Lesley Anne Price wrote Kids' Knits in 1983, and I still want to knit every single design inside this book. Not a one is dated and they all feature original styling and exquisite color. Fortunately, the book is available used from Abe's Used Books. When I looked there, there were several copies available for under $2--a complete and total steal. 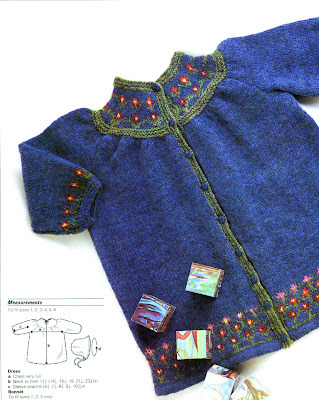 Many designs in this book can be scaled up for adults, if knitting for children makes you flinch or something. The other book is in, ah, Japanese. I found it in a tiny shop in Kyoto. I got lost walking back to my hotel and stumbled upon a yarn store so small that I nearly missed it. I must have smelled yarn, because the store front was piled with plastic buckets and cheap ginger graters. The stock was dusty (unusual for a Japanese shop), but the lady saw me grazing through some of the magazines stacked on the counter and she started bringing out these incredible pattern books---piles and piles and piles of them--from the back room. I bought more than I could really carry. I felt sorry for her--it looked like she hadn't made a sale in years, so I purchased some yarn I didn't need and bamboo needles I didn't want as well. Her parting smile could have lit up Kyoto at night, all by itself. Fortunately, I found a taxi before my shoulders dislocated from the weight of the bags. 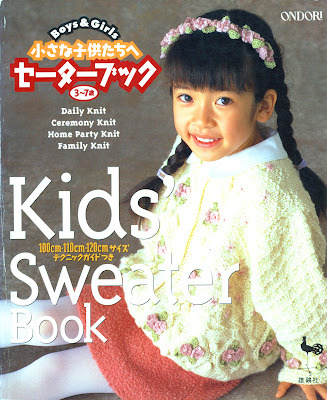 This book was publishing in 1993 and I just couldn't find it on Amazon Japan. The ASIN (ISBN) number is 4-277-14136-6--perhaps someone else with more persistence can track it down. It's another of those volumes that I never tire of perusing. If nothing else, the images are presented as ideas that you can adapt to a pattern, should you be the adventurous type. No comments? 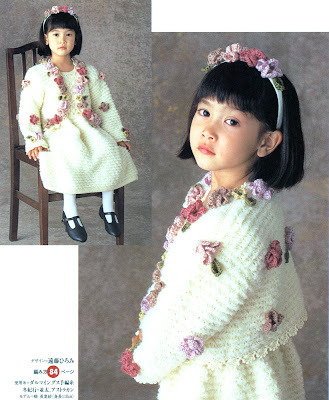 Well I love the kids patterns and how they don't look like ridiculous renditions of intarsia alligators or other silliness. I always had trouble finding something to make for my son, wish I found your site back then. I also love the roses on the jacket in the bottom picture but mostly I just want to adopt the little girl in the picture, she's adorable!